Several LEADon® team members have become obsessed with the television police drama Blue Bloods, so much so that they’ve admitted to binge-watching past seasons. Part of the allure of this show has been observing how the New York City Police Commissioner, Frank Reagan, handles the many ups and downs in his personal and professional life—always tackling each crisis with a take-charge approach and can-do attitude. Of course, it may seem straightforward to write a script for a character as self-confident as Frank Reagan (played by an equally self-confident actor like Tom Selleck), but it certainly isn’t as simple to live life in the real world with such self-assurance. Even the savviest leaders have seasons of self-doubt, insecurity, and anxiety. Yet no one will go far in leadership without a solid underpinning of Self-Confidence. Interestingly, Self-Confidence is one of twenty-five characteristics that comprise a person’s overall EQ (Emotional Quotient). These characteristics are essential components of emotional competence, which impacts our personal and professional productivity. Unlike IQ however, the twenty-five EQ characteristics are not fixed—they are malleable, so anyone can develop them over time when intentional effort is applied. The concept of Self-Confidence has served good leaders for centuries. Take, for example, Leonardo da Vinci. According to Isaacson’s biography, when Leonardo was about thirty-years-old, he wrote a lengthy letter to the Duke of Milan explaining all the reasons why that ruler should employ him. It wasn’t until the eleventh paragraph that Leonardo decided to add painting to his long list of skills which included the ability to “design bridges, waterways, cannons, armored vehicles, and public buildings” (Isaacson 2017 p.1). Believe in themselves, exhibiting self-assurance on a consistent basis. Be cognizant of their skills and abilities—and where they need improvement. Leonardo’s confidence in himself and his capabilities allowed him to “get the job” in Milan. And while anyone who has seen The Last Supper or the Mona Lisa might contend that Leonardo da Vinci should have listed painting a bit sooner in his letter, the world is grateful that this self-assured genius wasn’t afraid to toot his own horn! A healthy balance of Self-Confidence is not only important for attaining employment, but also for retaining it and exceling in whatever we do. 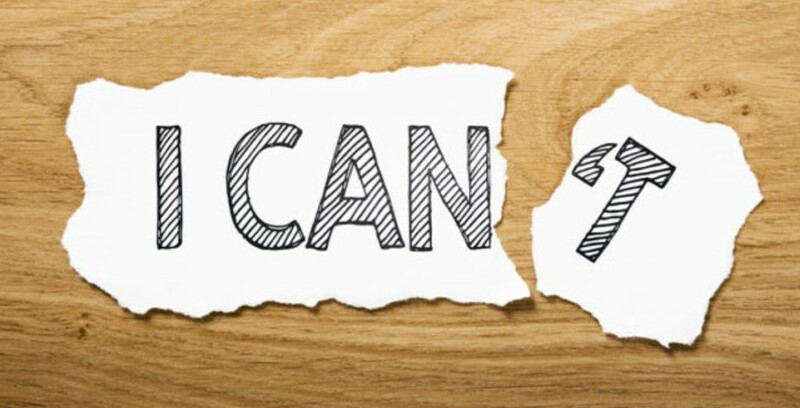 Indeed, research reveals that there is a strong relationship between Self-Confidence and achievement as well as positive mental health (Atherton et al., 2016; Clark & Gakuru, 2014; Skenderis, 2015; Stankov, 2013; Stankov & Lee, 2014). So how can you improve in the critical area of Self-Confidence, for your own benefit and for those in your sphere of influence? At LEADon® we have created two specific courses that align with this vital EQ characteristic: LEADing with Hall of Fame LEADership® and LEADing with the 6 Benchmarks for LEADers®. These courses outline specific skill sets that anyone who desires to become an exceptional leader must implement. In addition to applicable content backed by research, each course also provides a “Sharpening Your Edge” section with practical ways you can put those skills into practice. Please go to www.LEADonUniveristy.com for more details on how to take these online courses, any time, any place. While books, television shows, and movies are replete with heroes who seem remarkably self-assured even in the worst of times, most of us realize that we need some assistance with our personal and professional scripts as we journey through life. Time and experience will help, but intentional development of EQ characteristics will fast track our ability to reach our leadership potential. 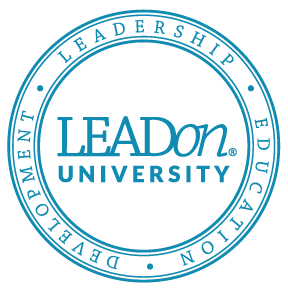 If you would like to learn more about how the team at LEADon® can assist you in your leadership journey, please contact us at 858.592.0700 or www.LEADonUniversity.com.